Salama Chiropractic Center's doctors are very successful at treating your worst pain, from chronic neck and back pain and headaches to joint and extremity pain, ongoing tingling and fibromyalgia. If you, or someone you know is suffering, call or e-mail us or click "Request An Appointment" to schedule a free consultation with one of our North Carolina licensed doctors (NCCA, ACA). Our office focuses on a cooperative approach to the management of your health-related condition. This is designed to optimize your access to the most appropriate care needed in a timely manner. If you are interested in scheduling an appointment, please call 336.274.3500 or fill out this form. Most appointments can be scheduled on the same day! Our patients with serious back pain are enjoying the relief they are getting from our new spinal decompression machine, the DRX9000TM, one of the few in the Greensboro area. And, especially for patients that have been told they are a candidate for back surgery, The DRX9000TM is the perfect solution, making back surgery unnecessary in many cases. This cutting edge, Health Canada and FDA cleared equipment allows us to pinpoint the disc and gently decompress it, relieving pressure on the nerves that are producing all that pain. 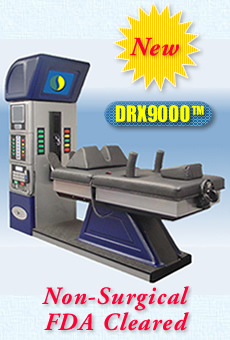 Contact Dr. Salama about treatment with the DRX9000TM today. Our Wendover office is conveniently located to serve those from High Point, Summerfield, Kernersville, Forest Oaks, Jamestown, McLeansville, Pleasant Garden, Colfax, Deep River, McLeansville, Gibsonville, Whitsett, Summerfield, Kernersville, Walkertown, Fairfield, McAdoo Heights, North Hyde Park, Robin Ridge, New Irving Park, Jefferson Gardens, Quaker Acres, Madison Woods, Westwind Area, Broadview, Brightwood, Rudd, Lakewood, Browns Summit, Archdale, Pleasant Garden, Randleman, Asheboro, Forest Oaks, Gibsonville, Elon, Burlington, Thomasville, Graham and surrounding areas.